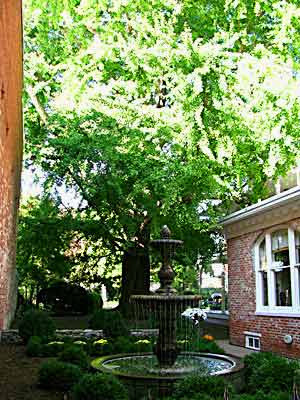 Another really old ginkgo tree is growing on the grounds of the Gibson House in Jamestown, Pennsylvania. This particular tree, a female, was smuggled by Dr. William Gibson from China. The ground around it is littered with saplings, and a far younger male of the species grows only a few feet away. In the Highland Park neighborhood in Pittsburgh Pennsylvania in Highland Park, there is a Ginkgo tree that measures 16 feet and 3 inches in circumference. I’m not sure how tall it is. I have photos. The Park was founded around 1868. I believe it’s a male tree.